PRINT newspapers in the United States have fallen behind social media as a source of news. Image: from Twitter of Pew Research Center President Michael Dimock. On the other hand, television, although declining as news source since 2016, has maintained its position at the top of the news pyramid. But if two internet sources of news are put together, they are closing in on television which more American adults still prefer, a difference of 6 percent. A study involving 3,425 U.S. citizens by the American Pew Research Center found this out, showing that among U.S. adults they prefer social media sites as their source of news instead of print newspapers. 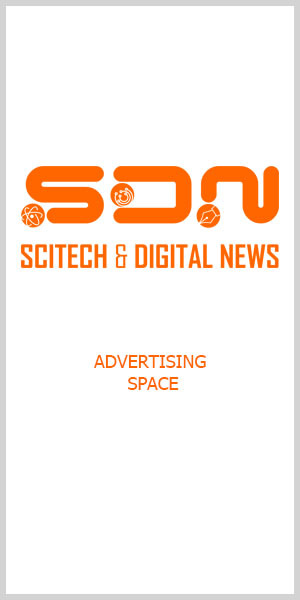 We Are Social relayed this information to SDN — Science and Digital News. The numbers of the two — print newspaper and social media — were about equal in 2017, the research group pointed out. Pew’s study also showed that news websites have become the next most common source, with radio coming at third, then social media sites and print newspapers. So, for American adults, as the study showed, their top five news sources are 1. television, 2. news websites, 3. radio, 4. social media, and, 5. print newspapers. Image: Pew Research Center. But if the two online sources such as news websites and social media sites are combined, their total number is closing in at 43 percent on television which is at 49 percent as news source for adults. Pew conducted the survey spanning July 30 through August 12, 2018. In terms of age groups, Pew noted the “‘drastic” difference between young and old Americans in their sources of news. “Age gaps that have long been notable have now widened substantially, with those 65 and older five times as likely as 18- to 29-year-old to often get news from TV. “A large majority of those 65 and older (81 percent) get news from television often, as do about two-thirds (65 percent) of those 50 to 64. Far fewer young Americans are turning to television news, however — only 16 percent of those 18 to 29 and 36 percent of those 30 to 49 get news from television,” Pew said. The U.S. research group also found that the age difference is also big for social media but pointing to the opposite direction. It means that those 18 to 29 of age are around four times as likely to often get news from social media than those 65 and older. “Print’s popularity only persists among those 65 and older. Among the older age group, about four-in-ten (39 percent) get news there often, but no more than 18 percent of any other age group do,” Pew said through an article on the study written by Pew research associate Elisa Shearer, who specializes on journalism research. Ages 30 to 49 — online news websites are more popular as their news source (42 percent). Ages 18 to 29 — at 27 percent get their news from news websites, their second most commonly used news platform. Social media is their most popular news source at 36 percent, surpassing news websites, TV is at 16 percent, radio at 13 percent, and print at a measly 2 percent. On the other hand, Pew considers younger Americans as “unique” because their news diets do not rely on just one platform unlike most of their elders who rely widely on TV. “No more than half of those ages 18 to 29 and 30 to 39 get news often from any one news source,” Pew said.